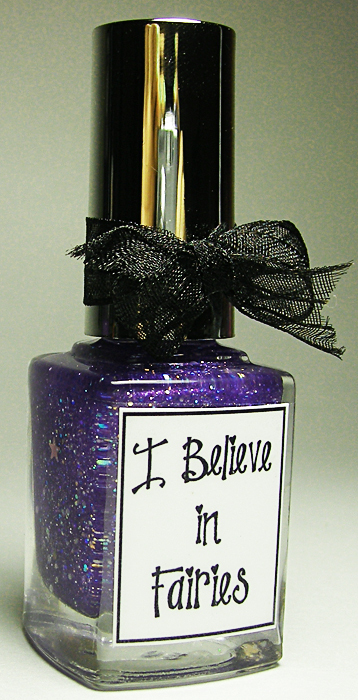 Today I received a new nail polish from Whimsical Ideas by Pam. When I first saw it, I knew I had to have it! 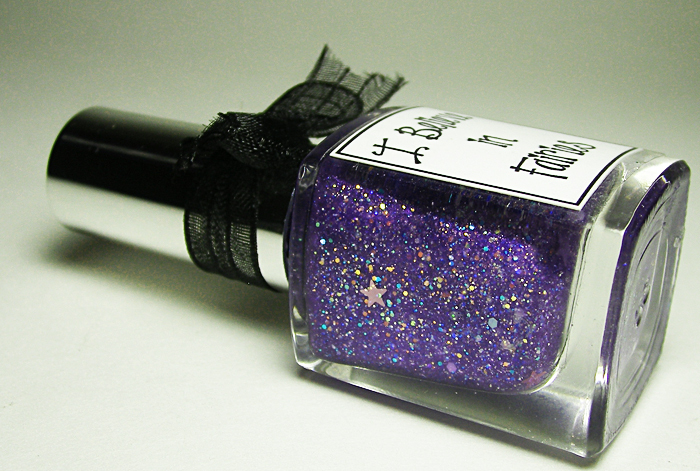 Purple, Sparkly, Glitter, Stars and the mention of Fairies? Yes please! I first found Pam on facebook by sheer accident, and when I spotted her polishes I knew I had to have one! As I perused her facebook album and page, I spotted the one! I then contacted her via email to inquire and she responded faster than I could click send! When I asked to make the purchase, I had an invoice in minutes! Pam brought a smile to my face with her friendly humor in our email conversations; and take a peak at the TAT: ordered - 3/13 late:30, arrived - 3/16, wow! All that and a bag of chips! Just look at this bottle! Its square, which I love, and is adorned with the cutest perfect little bow! Wanna see it in action? Mmmmm! Delicious Jelly! Yay Pam! She is so creative and fun. Lovely.